Dr. Laurence Weider is a native of Southern California. After attending Stanford University, he obtained his medical degree (M.D.) from Baylor College of Medicine in Houston. He then completed a one year surgical internship in Los Angeles at Harbor-UCLA Medical Center, followed by a four year general surgery residency in Dallas at Methodist Medical Center, and a two year plastic surgery fellowship in Cleveland at Case Western Reserve University. While at Case Western, he trained under the guidance of Edward Luce, M.D., a past president of the American Society of Plastic Surgeons and past chairman of the American Board of Plastic Surgery. Dr. Weider is a diplomate of the American Board of Plastic Surgery and a member of the American Society of Plastic Surgeons. He regularly attends national Plastic Surgery meetings in order to master the latest techniques and innovations in the field. Dr. Weider has been featured on the Discovery Health Channel as well as CBS 11 news in Dallas/Ft. Worth. He has also been invited to lecture at medical conferences and community gatherings. 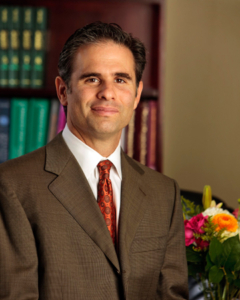 Dr. Weider has a wealth of experience performing all aspects of cosmetic surgery. During your consultation, he will answer all of your questions and formulate an individualized plan to help you achieve your cosmetic goals. Dr. Weider is dedicated to ensuring that every patient’s visit to his office is a comfortable, educational and pleasurable one. Dr. Weider was recently recognized as an IDEAL IMPLANT Preferred Surgeon due to his extensive expertise working with IDEAL IMPLANT® Structured Breast Implants, the latest technology in breast augmentation. With a unique structure surrounding these saline-filled implants, women can achieve beautiful results with zero risk of silent rupture. Dr. Weider uses the IDEAL IMPLANT to help women look and feel their best. With the IDEAL IMPLANT, no expensive MRIs are needed, and they come with a lower risk of both capsule contracture and ruptures when compared to other implants. "Dr. Weider is amazing at what he does!" “Dr. Weider is amazing at what he does! I have had 2 breast augmentations from other doctors that did not turn out well. Not only did he give me wonderful looking breasts but he also repaired a lot of the muscular deformities caused by my previous B.A.’s And to boot he has a sense of humor!! His staff are kind and personable and always helpful. I recommend him to anyone interested in Breast Augmentation!! "I couldn’t be more happy"
"I love my natural look"
“I traveled from out of town twice to have surgery with Dr. Weider. He performed both a breast augmentation and a tummy on me and I am thrilled with the results! He took the time to listen to my needs, was beyond caring, and did a fabulous job. His office staff were wonderful and my recovery was uneventful. It is obvious that he cares deeply about his patients and I was so fortunate to pick a great doctor. "Better results than I could have hoped for!" "I would absolutely recommend him to anyone and everyone!" “I have wanted a breast augmentation for as long as I can remember, I have always been too nervous to actually go through with it. Recently I was brave enough to meet with doctors and get some more information on the procedure. I called and met with several doctors, but as soon as I spoke with Kimber on the phone and I had a feeling I would love and go with Dr. Weider and his staff. I had my consultation with Dr. Weider and knew he was the one I wanted to book my surgery with. He is extremely knowledgeable and very calm he puts you at ease instantly. Dr. Weider listened to my concerns and my goals and assured me he could get me to where I wanted to be. “Once I booked my surgery and the day grew closer, I got extremely nervous, I emailed and called Dr. Weider’s office like crazy with questions and concerns and Kimber was on top of it to answer every one of them! "I could not have had a better experience!"